Here at PawPost, we love discovering new animal photographers, especially when that photography is for a good cause. 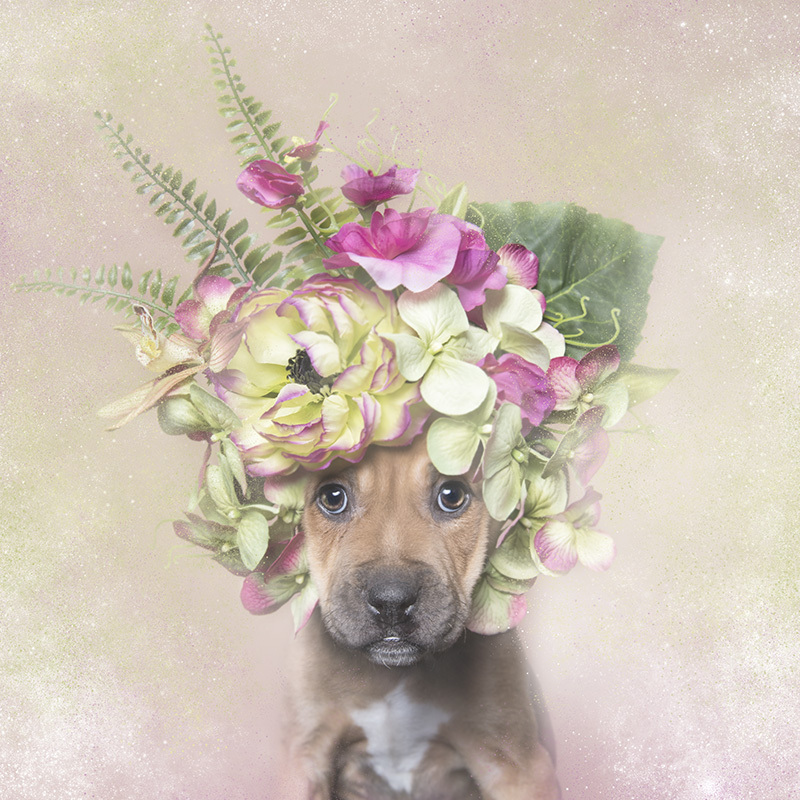 Photographer Sophie Gamand set up “Striking Paws”, a photography project to help shelter dogs get adopted. The project was started in 2010, and aims to help promote adoptable animals by taking professional photographs of dogs, which portray them in a way prospective owners will find appealing. 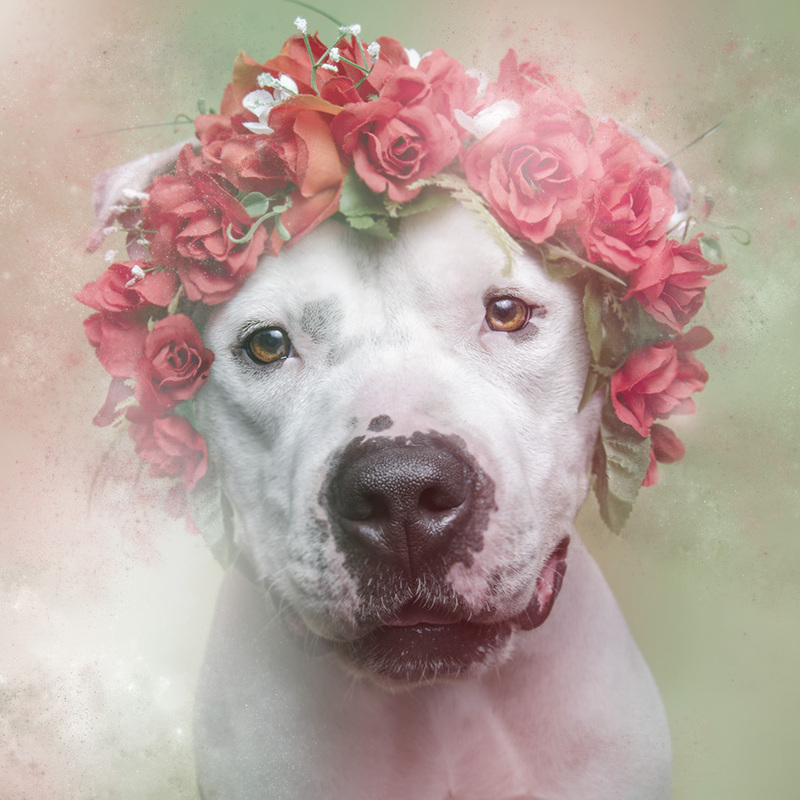 One particular area of the project, called “Flower Power”, specifically focuses on pit bulls. Due to their reputation as aggressive fighting dogs, pit bulls in shelters have very low adoption rates, and over 1,000,000 are euthanised every year in the US. 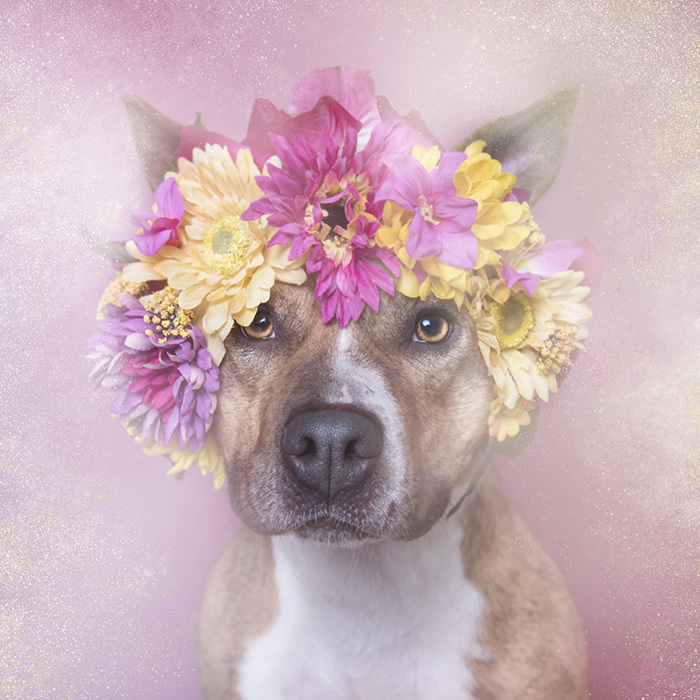 Sophie takes these whimsical portraits of the dogs in the hope of challenging the existing prejudices and stereotypes surrounding pit bulls. 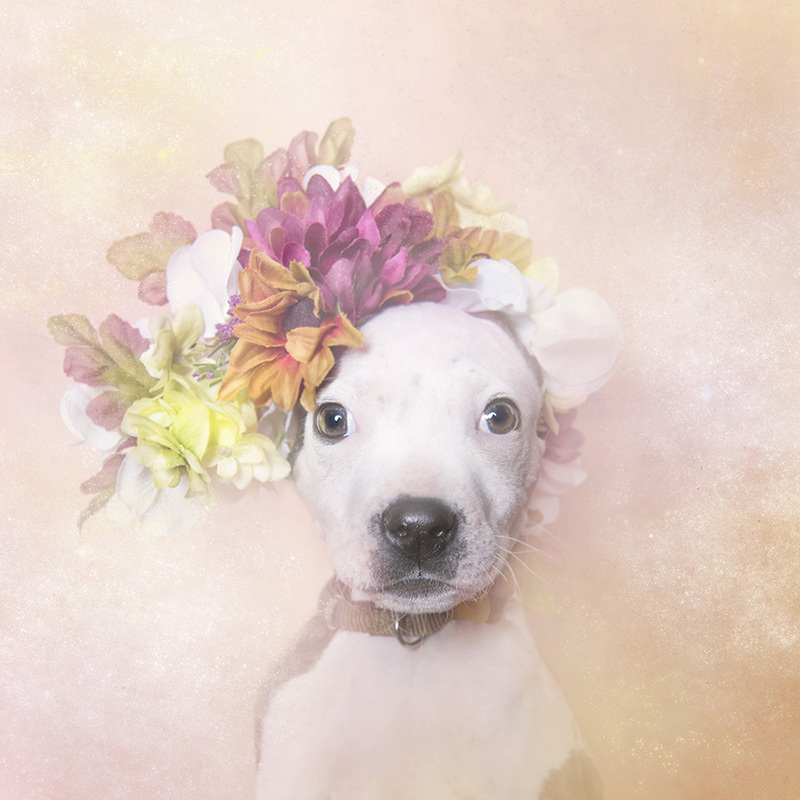 Each dog photographed is a real dog in a real shelter (wearing a real flower crown! ), awaiting adoption. To find out more, and for more pictures, visit the Striking Paws website. All images via Striking Paws. 14 GIFs of Dogs Having the Best Snow Day EVER! Video: French Bulldog fights off a pair of BEAR cubs!